Dr. David Silbersweig graduated from Dartmouth College with high honors in philosophy. He studied medicine at Cornell University Medical College. He is a neurologist and psychiatrist, having trained in both psychiatry and neurology at The New York Presbyterian Hospital-Weill Cornell Medical Center. His research training was in the emerging field of functional brain imaging research at The Medical Research Council Cyclotron Unit, Hammersmith Hospital, London. Dr. Silbersweig the returned to Cornell to found and direct the Functional Neuroimaging Laboratory with Dr. Emily Stern. Dr. Silbersweig was also the founding Director of the Division of Neuropsychiatry, as well as the founding Director of the Neurology-Psychiatry Combined Residency Program. At Cornell, Dr. Silbersweig was the Tobin-Cooper Professor of Psychiatry, Professor of Neurology and Neurosciences, and was Vice Chairman, for Research, in the Department of Psychiatry. 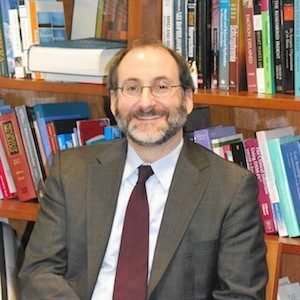 Dr. Silbersweig is now the Chairman of the Department of Psychiatry at the Brigham and Women’s/Faulkner Hospitals, and Chairman of the Brigham and Women’s Hospital Institute for the Neurosciences. He is Stanley Cobb Professor of Psychiatry at Harvard Medical School. He has an appointment in the Department of Neurology as well.